Our Global petition has now been launched! Our new global petition has launched to help safeguard citizens from around the world, from the clutches of the EU Food Supplements Directive, Codex Alimentairus and the 1939 Cancer Act. Now available to sign online, the petition has been updated with more amazing information that will leave you stunned and absolutely blow your mind. The support and good-will is coming in from all corners of the world and is simply overwhelming. As you know, ouraim is to stop Corporate Abuse spanning the globe, by creating awareness of grave violations threatening the very core of our existence. The heart of this petition brings a ‘moral obligation’ for all of us to embrace LIFE in its entirety, in order to protect our human rights, health choices, cultural heritage, animal welfare, natural environment and the future. On the home front, it is also about safeguarding the ‘livelihoods’ of those working within the ‘natural health & food industry’, as well as, the ‘health choice’ of UK citizens. However, to achieve this goal, at least half the population (in every country) needs to sign one of these petitions. For this reason, I am inviting everyone to JOIN HANDS in a selfless act of empowerment – to AWAKEN the world to serious dangers, we can no longer afford to ignore. 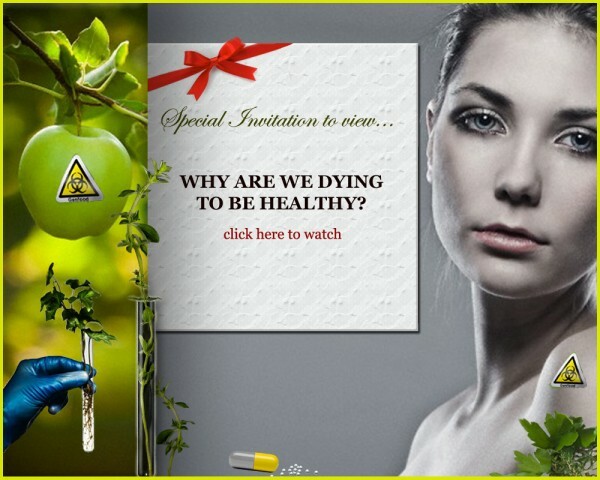 So at last, I’m proud to present the campaign video: “WHY ARE WE DYING TO BE HEALTH?” and call on your support to show it to all you know including family, friends, supporters, fellow campaigners, associates and celebrities from today onwards; plus include on your website and/or blogs. To assist in this process, we’ve created 3 ‘gift’ cards to help entice people to view, sign and pass it on. To see the full range of cards please click here. I’d also appreciate, if you are doing any tours or talks, to kindly show-case it. By spreading the word, we will be able to reach, teach and keep our ‘universal family’ informed, proactive and protected. This is truly a historic moment. Tagged 1939 Cancer Act, Codex Alimentairus, EU Food Supplements Directive, Excitotoxins; Toxic diet; Toxic Food; Toxic Environment, Homeopathy; Natural Health; Organic Food;, Joinging Hands in Health; Why are we dying to be healthy; nWO; Global Petition; Dounne Alexander; Health Conspiracy; corporate abuse; MHRA; World Health Organisation; Vaccines; Phramacutical Drugs; Bi, MSG, Organic Life Style; Organic Farming;. Bookmark the permalink.